If you received an error, while following the steps above, stating : “Scanner Problem, Check FM420 Connection status” then the scanner is not properly communicating with the computer. 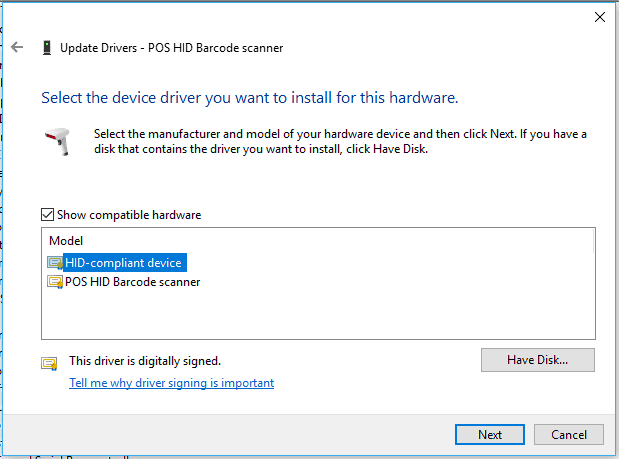 Updating the device drivers can sometimes resolve this issue. If the steps below do not resolve the issue, please contact Tokenworks support for further assistance. 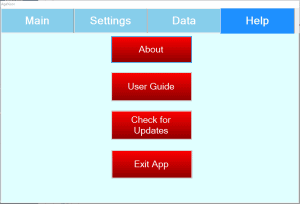 To update the device drivers you will need to first exit the AgeVisor Touch application. Choose Device Manager from this menu. 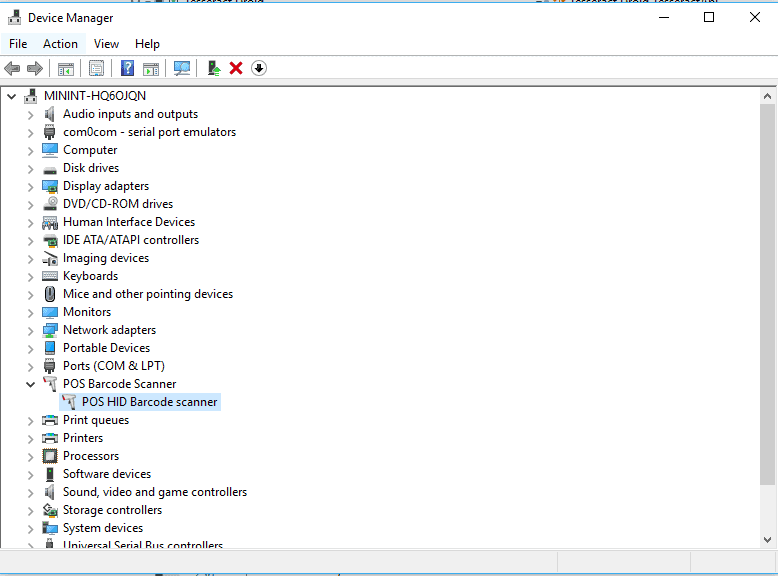 In Device Manager you will see a list. 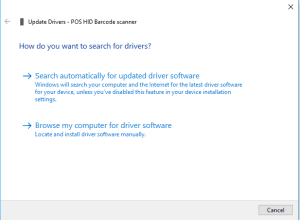 In the list, you should see one item label “POS Barcode Scanner”. 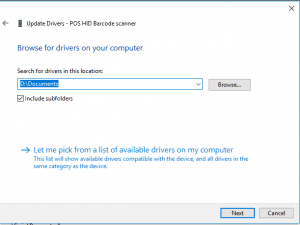 Click the small arrow to the left of POS Barcode scanner to show the item listed POS HID Barcode scanner. Click POS HID Barcode scanner to highlight it. 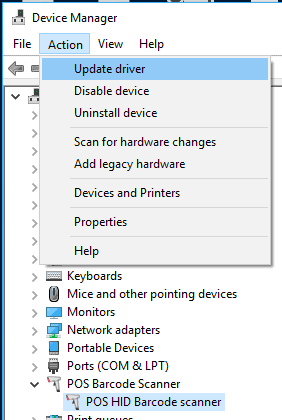 Click Action in the menu at the top and select Update driver. Select HID-compliant device from the list and press Next. 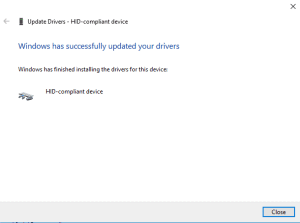 You should now receive a confirmation message saying that the driver was successfully update the drivers. The scanner is almost ready to use. Follow the steps in the link below to confirm that the scanner is configured with the AgeVisor Touch Application successfully.